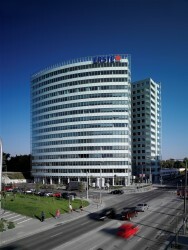 Erste Group has invited the Government of Hungary and the EBRD to invest in Erste Bank Hungary Zrt. by acquiring a minority stake of up to 15 per cent each. Negotiations are in progress and the completion of the transaction is expected within the next six months. The Government of Hungary and the European Bank for Reconstruction and Development (EBRD) today sealed an agreement aimed at strengthening the country’s financial sector, improving its level of efficiency and profitability and boosting the flow of bank credits to Hungary’s private corporations and citizens.